We will be updating this page during Spring 2019 to add more information. Thanks for reading! Thanks to all of you…our supporters, we have donated more than $1.3 MILLION dollars to animal rescues and spay/neuter programs over the past 8 years. Your donations are always greatly appreciated! We know our shoppers are continuosly amazed at the quality and quantity of donations we receive. 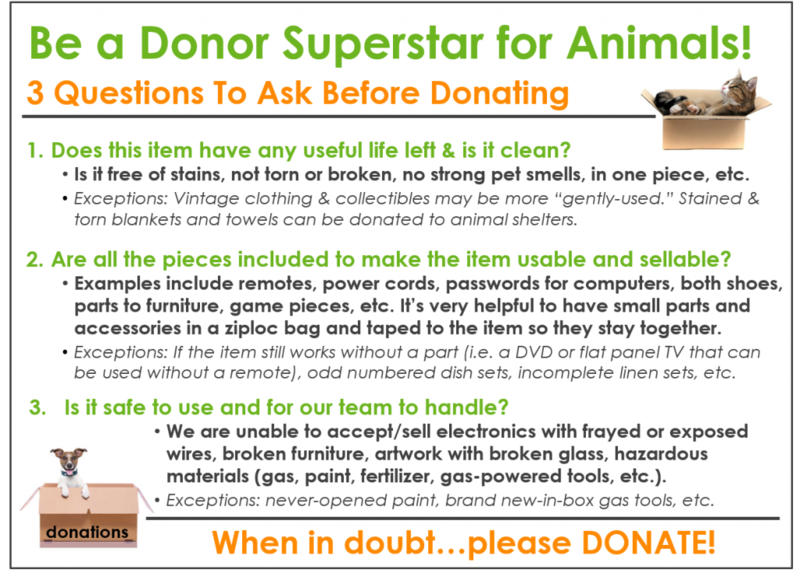 We’ve had many donors ask how they can make it easier for our team to sort and process their donations …and what we can and can’t sell. 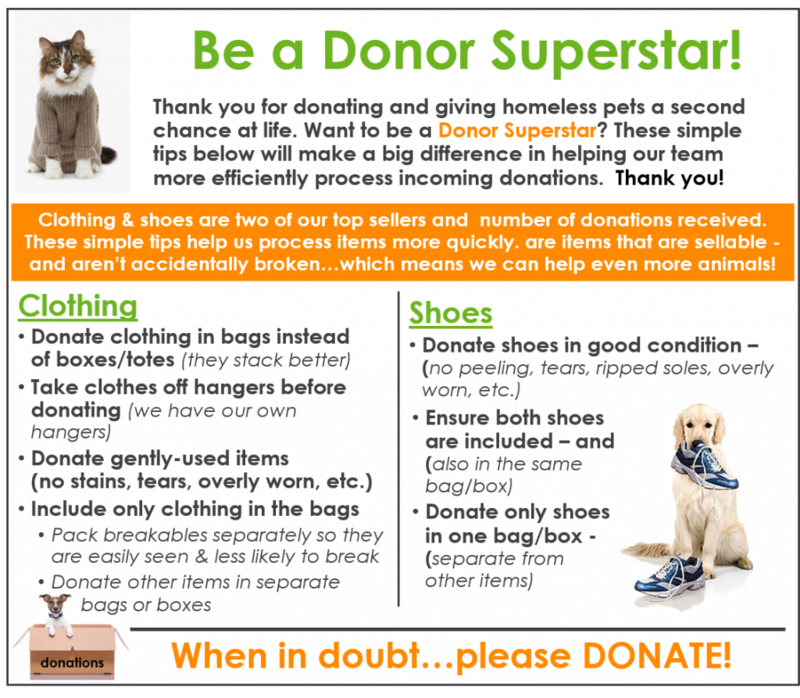 Over the next several weeks, I’ll be sharing tips on how to be a DONOR SUPERSTAR – simple things you can do when donating to make it more efficient for our team to process your donations. Don’t worry…we will happily accept your donations.